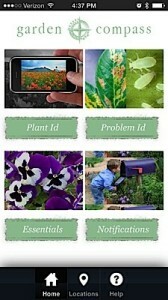 As you know I am currently reviewing gardening apps in hopes of finding some useful ones. What I have found so far is that there are a lot of apps our there that are not worth the time it takes to install them. The first two options are the only ones that interest me. Take a look at the next screen shots. You can take a photo of a plant you need to identify and submit it. The same goes for a problem you may be having with an insect or disease. According to the reviews I have read you actually do get a response from a qualified person, and in good time. Yeah, I know. I find it hard to believe myself. I have not tried it yet, but I intend to. 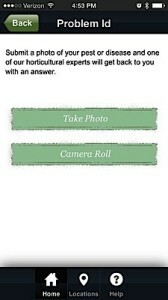 Do you use an app that will provide you with answers like this one does? Let me know what it is so I can try it. I am actually looking forward to using this app. Just in time to spruce up my black thumb! I'm not giving up, however. I do plan to get this app. Thanks for the tip! Yeah, my green thumb only makes its appearance when it is used outside. Here's hoping it does what it says it will. An app like that would have come handy a decade ago when we first built our house and put a weeping cherry tree in the backyard. I couldn't figure out what was going on then, but if I could have submitted a pic I could have found it was beetles. Poor tree bit the dust. That is exactly what I hope this app will do – provide much needed answers. Cheryl, I never thought of an app for the garden. Now if you can find an app to get rid of mosquitoes that would be great. I do not have a lot of sunlight because I live in a wooded section. When I plant my tomatoes, I put them in carts and move them around to get the sun. This year has been so cold that I haven't gotten started on that yet. For my herbs I use an Areo Garden. I am trying companion gardening to helps with insects. We will see how my testing goes this year. I was not thinking about mosquitoes, but then again why not? Have to agree with Arleen. Am beginning to think there is no area of life where there is no app. It's both positive and negative. 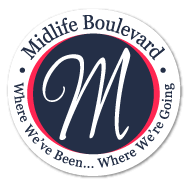 The latter merely consist of a mapping of where we are and what we do. And they can also be hacked. These days there is an app for everything. Like anything else in life, if someone wants to use it in a negative way they will find a way to do it. Looks handy. I'd be curious to know how long it takes an experts to get back to you with the plant ID. they promise to get back to you within 24 hours and most of the time it is much quicker than that…like just an hour or two. Immediately when you submit a photo, you get an email back telling you where you are in line with the expert. They call it your place in the queue.